Three years ago I had the pleasure to present a scarce record entitled "Jimmy Anderson - You, me and love" on Olam Records in 1983. Many collectors know him as a producer and songwriter. He became known especially by his collaboration with the vocal group called The Exportations. I had the opportunity to speak with him through email. Jimmy Anderson (AKA James Anderson III) was born in 1947. He is a singer, composer and producer. He was more known as a composer than as a singer. He has written songs for The Exportations and Tyrone Edwards. Dionisis: When did you start your professional career and since when you've been recording ? Dionisis: Which are your main influences and which are your favorite artists ? Jimmy Anderson: Smokey Robinson, Otis Redding, Bobby Womack and David Ruffin. Dionisis: Tell me about the group Exportations. Did you work with them only as a songwriter ? Jimmy Anderson: I was also the manager of the group. The Exportations were five members. The brothers Arthur (Rick) Gibson, Willie (Crick) Gibson, Bernard (Bee) Gibson and Anthony (Amp) Pilgrim with Lucian (Sonny) Thomas. All could lead-sing. 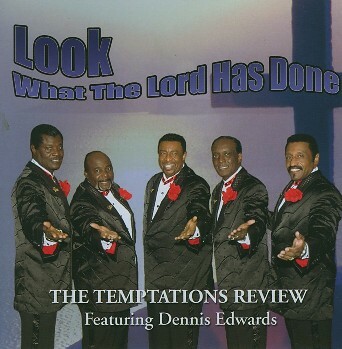 The younger lead-voice Bernard Gibson went with The Temptations and Dennis Edwards. In 1992 Dennis Edwards formed a new group called "The Temptations Review featuring Dennis Edwards". Bernard Gibson was replaced in 2006 by the late Ali-Ollie Woodson. After of the mid 80s, the group change their name to Living Proof. They released an album on G.E.M.C Records in the late 80s. Dionisis: How many songs have you recorded with The Exportations in the late 70s or in the 80s ? Jimmy Anderson: I have recorded the songs "Find another day", "I want you" featuring Ernestine Johnson, "Main Ingredient", "You did it", "Party down" and played in over 9 European countries. Dionisis: At that time, Ernestine Johnson was another member of the group or she collaborated only as a singer ? Jimmy Anderson: She was featured on the B side of the single "Find another day". I also remember one of my background singers was part of "DAWN" with Tony Orlando. She was Pamela Vincent. She recorded with us four times as a member on the female group called "Brandye". 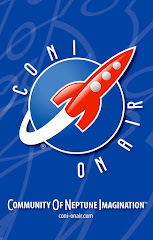 Dionisis: On my blog three years ago, I mentioned that you have co-written the song "You did it". 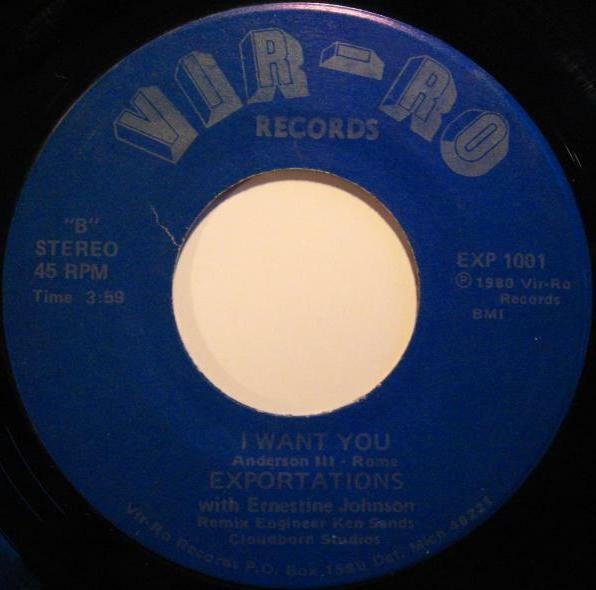 This song was performed by Tyrone Edwards and The Exportations. Which version was the first to be recorded ? Jimmy Anderson: Tyrone Edwards. Tyrone also did the first version of "Find Another Day" and "Main Ingredient". I remember Tyrone released the single "You did it / Main ingredient" in 1976 or 1977 on Olam Records. Dionisis: Do you remember anything about Olam Records from Detroit ? Jimmy Anderson: I chose that as my record label in the 70's. I liked it because it stood for infinity. Dionisis: How many singles have you released on your label ? Jimmy Anderson: Tyrone's and mine of 1983. Dionisis: The first collaboration in your career, was with Tyrone or with The Exportations ? Dionisis: Nowadays have you recorded any music ? Jimmy Anderson: Tyrone and I have some pending songs. # I want to thank Jimmy Anderson for all his info and his help.